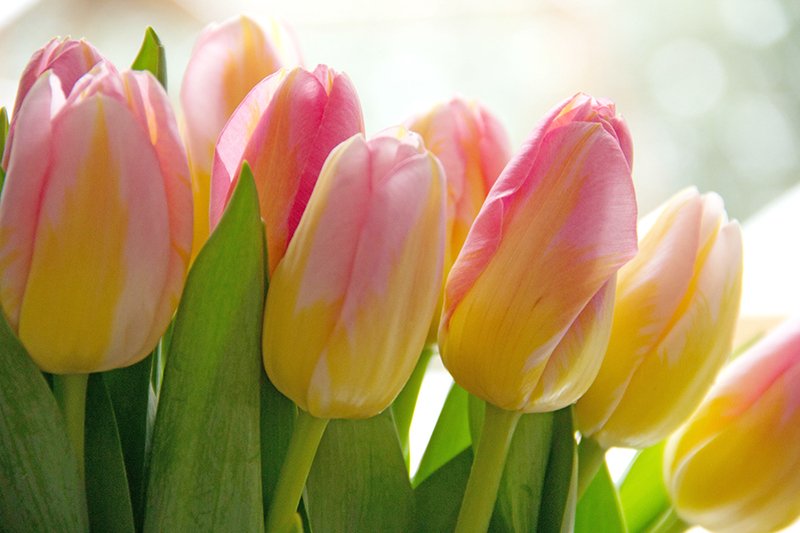 We are excited to introduce a couple items to help you in your crafting and gift-giving. 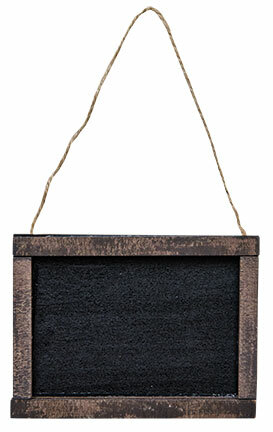 We have recently added these darling wooden chalkboard tags and this Mini 3″ Blackboard to our online store. Check them out. Writing on Chalkboard is such a fun and personal way to leave a message. 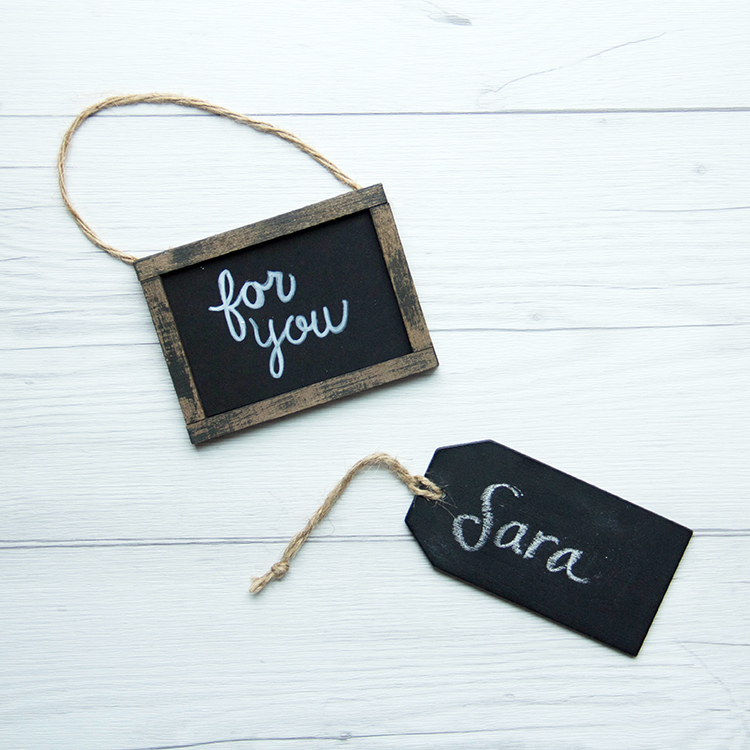 Write gift recipients names, or a small personal message on these Chalkboard gift tags. 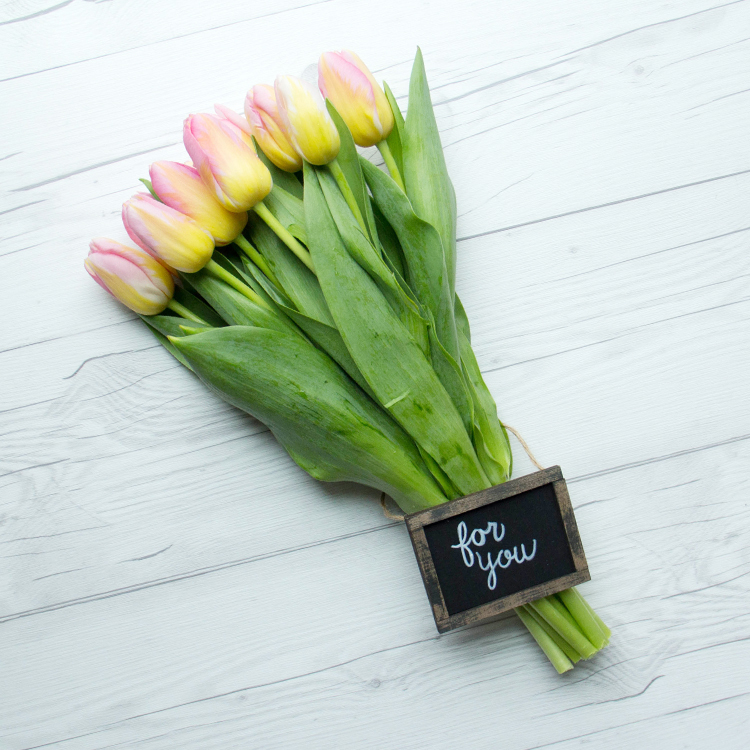 Dress up a hostess gift with a tag. 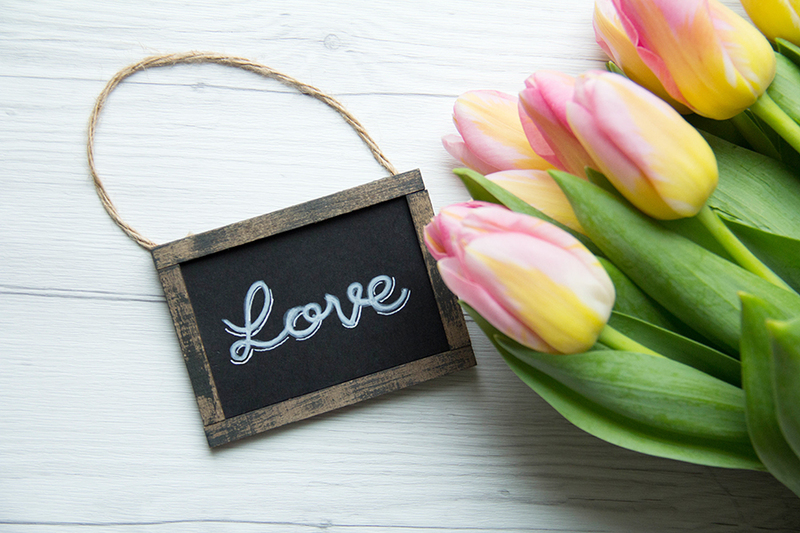 We love how this little Mini Blackboard added just that little bit of personal touch to these tulips. 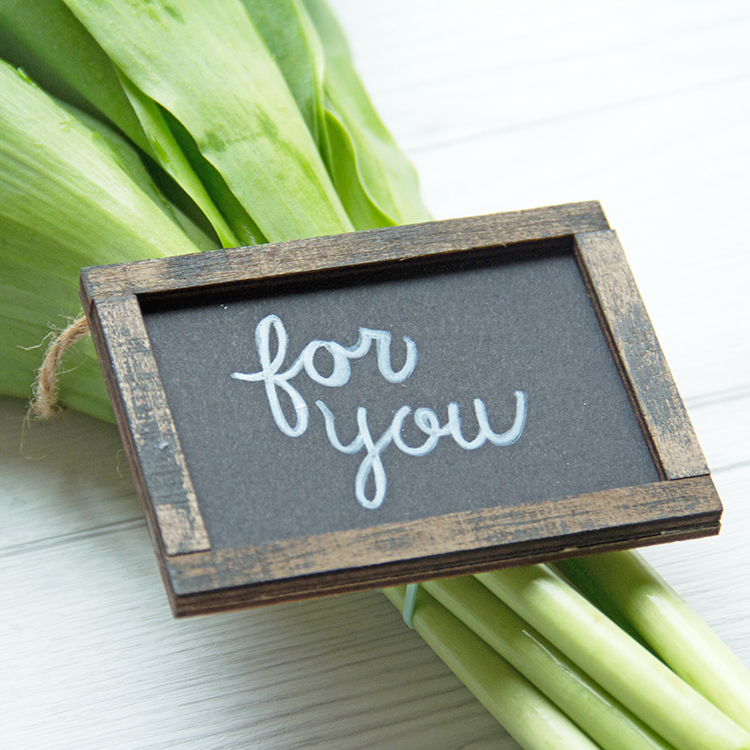 This 3″ x 4″ Blackboard is perfect for the kitchen or craft room for making notes, shopping lists or leaving messages for your loved ones. 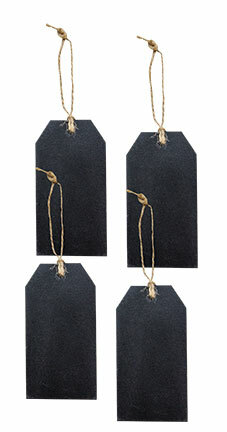 Set of four Chalkboard Tags that measure 2″ x 4″. Hanger included. Such a cute way to address your gift tags and, bonus, the gift recipient can erase their name, and reuse them! This entry was posted in Crafts & Kits, New Seasonal & Special Occasions and tagged Chalkboard, Gift tag, hostess gift, Mini Blackboard, tag, tags.